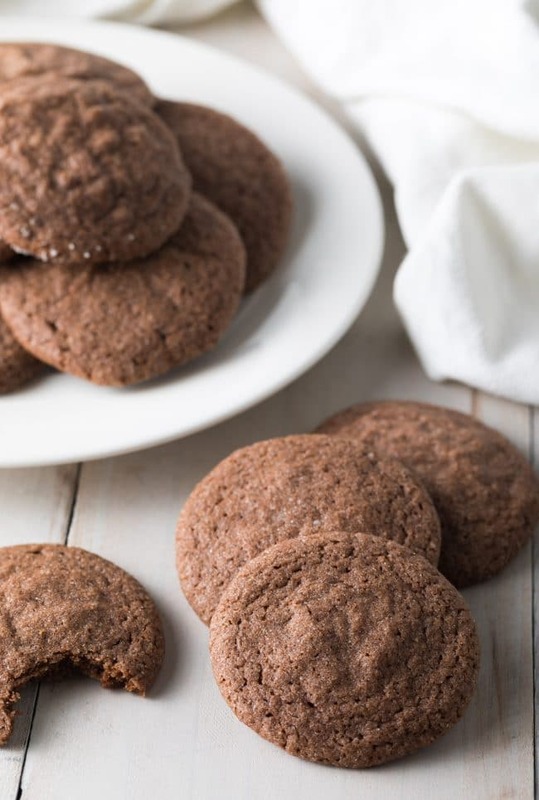 The Absolute Best Chocolate Sugar Cookies: This fluffy, tender chocolate sugar cookie recipe is the perfect base for all sorts of creamy frostings and toppings! When we imagine sugar cookies, we usually think of pale glistening cookies, with a delicate texture, topped with creamy frosting and sprinkles. Often these cookies offer a pillowy texture, plenty of sweetness, but not a lot of actual flavor. We happen to have one of the most popular (regular) sugar cookie recipes on the web, with an unbelievable airy texture and buttery vanilla flavor. 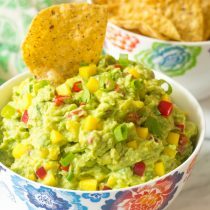 Therefore, we often get asked questions about cookie add-ins and sugar cookie ingredient tweaks. So today I thought I’d share one of my very favorite sugar cookie variations, Soft Chocolate Sugar Cookies. So What Do Chocolate Sugar Cookies Taste Like? Well… chocolate. Yet not just chocolate. 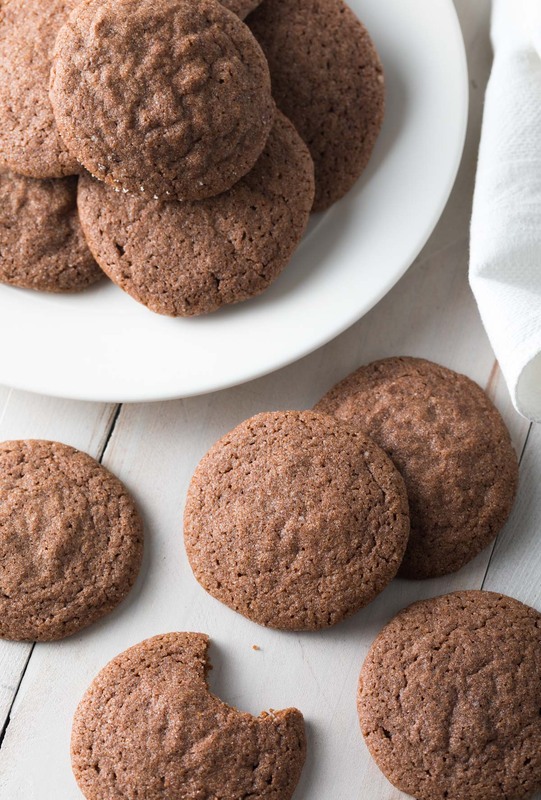 The amount of cocoa powder used, mixed with the butter and vanilla extract give these cookies a nostalgic chocolate cereal quality. Lt. Dan says they taste like Cocoa Puffs. 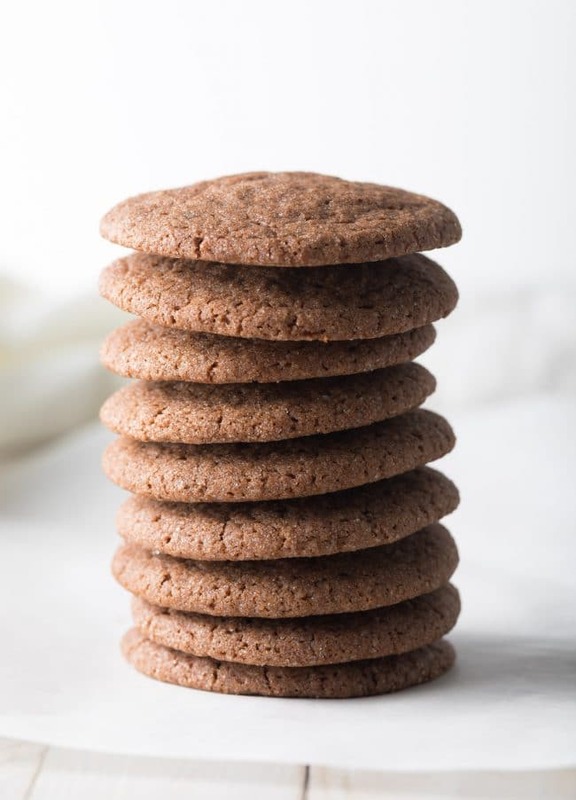 The grocery list for chocolate sugar cookies is essentially the same as it would be for regular sugar cookies, plus cocoa powder. All-purpose flour – Make sure to stir the flour in the bag to lighten it up, then scoop and level the measuring cups. 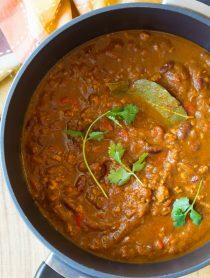 Dutch cocoa powder – Buy good-quality unsweetened cocoa powder for the best flavor. Baking powder – For light cookies with a little lift. Sea salt – All sweets taste best with a little salt. Butter – Make sure to soften the butter before starting. 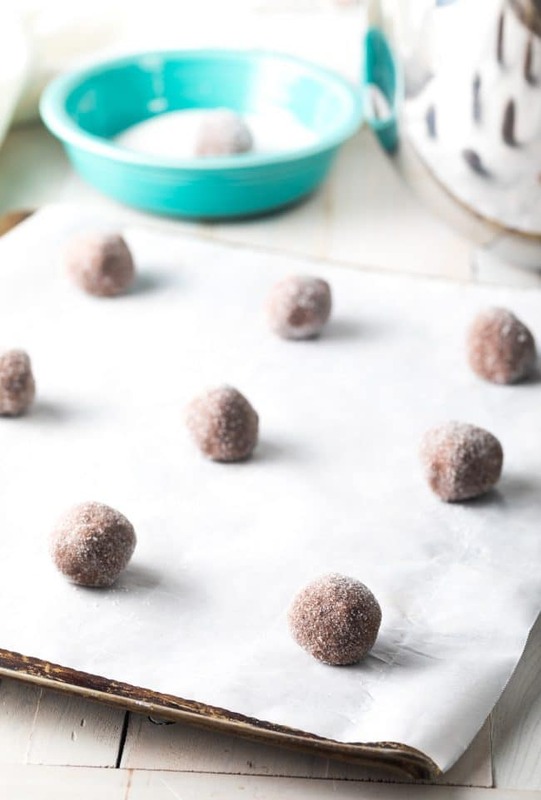 Granulated sugar – To create that perfect soft, yet crispy cookie texture. Eggs – For lift and flexibility. Pure vanilla extract – To accentuate the chocolatey taste! When baking any recipe, it’s important to pay close attention to the recipe and follow the instructions exactly, including the measuring. Most cooking errors are made when baking. Measure and mix all the dry ingredients before adding them to the dough. This helps to keep the mixture as smooth and even as possible. Cream the butter and sugar thoroughly… That means to beat the two ingredients on high until the sugar crystals break down. This creates light airy baked goods. Skipping this step will make your cookies dense. Don’t over mix the dough! Once the flour mixture goes into the butter mixture, only beat until the mixture is smooth. Beating the dough longer will result in tough cookies. Roll and Coat. The dough will be very soft and tacky. Don’t let that worry you! Just handle it gently and roll the balls in extra sugar to coat them. Don’t over bake. It’s tempting to leave cookies in the oven longer than necessary, because they often look a little undercooked when it’s time to take them out of the oven. Once the edges are crisp and golden, take the cookies out of the oven and let them continue to bake on the cookie sheets as they cool. 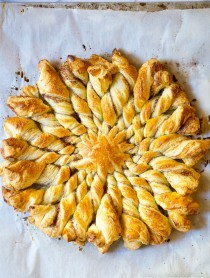 That way, they will have crispy edges and soft chewy centers. For more baking tips visit our 100 Best Baking Tips post! 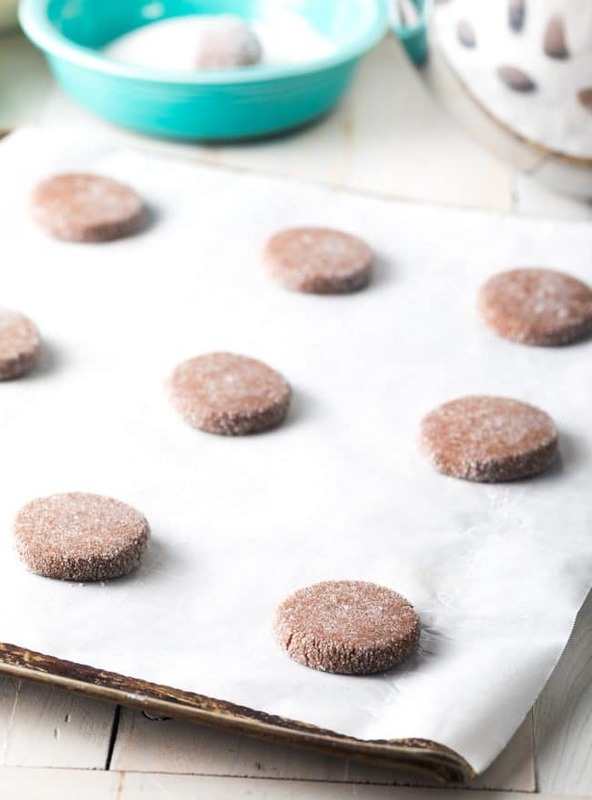 See the Full (Printable) Best Chocolate Sugar Cookies Recipe & Video Below! Is The Best Chocolate Sugar Cookie Recipe Good For Cut-Out Cookies? No. Actually this cookie recipe is so soft and tender, the dough can’t handle rolling, and the cookies won’t hold their shapes. However, it’s very easy to adjust this recipe, to a roll-and-cut cookie recipe. Let me show you how! 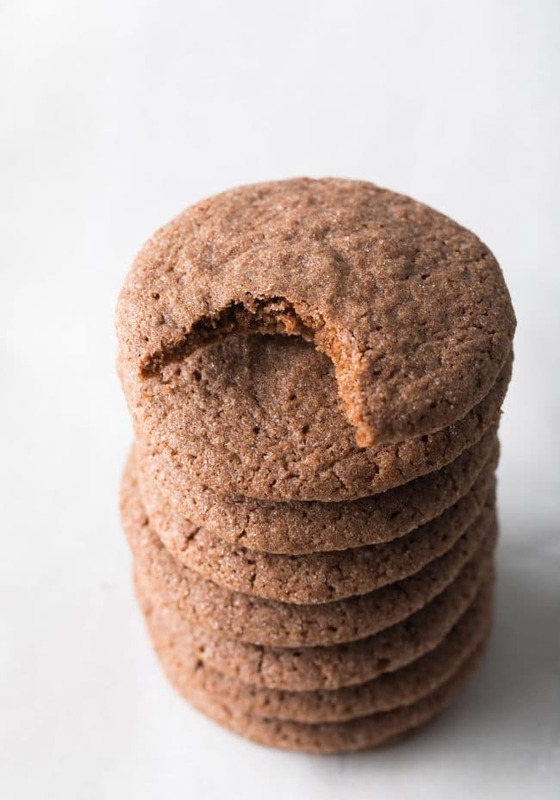 By just increasing the flour and cocoa powder a little bit, this chocolate cookie recipe creates a dough that is sturdy enough to take a beating. You will need to add 3 1/4 cups flour and 3/4 cup cocoa powder. As with any cut-out cookie recipe, try to cut out as many cookies as possible in the first rolling. The more times you gather and re-roll the dough, the tougher the cookies will be. This fluffy tender chocolate sugar cookie recipe is the perfect platform for all sorts of creamy frostings and toppings! Preheat the oven to 375 degrees F. Line several baking sheets with parchment paper and set aside. In a medium bowl, mix the flour, cocoa powder, baking powder, and salt. In the bowl of an electric stand mixer, combine the softened butter and sugar. Cream the butter and sugar together on high speed until light and fluffy, 3-5 minutes. (This breaks down the sugar crystals; don’t skip!) Then turn the mixer on low and add in the eggs and vanilla extract. Once combined, turn off the mixer and scrape the bowl with a rubber spatula. Turn the mixer on low, and slowly add the flour mixture. Scrape the bowl and beat again for 30 seconds. Do not over-mix. Pour some extra sugar into a bowl to coat the cookies. Portion the dough into heaping tablespoons and roll into 1 inch balls. The dough should be soft and delicate – Don’t over-handle. 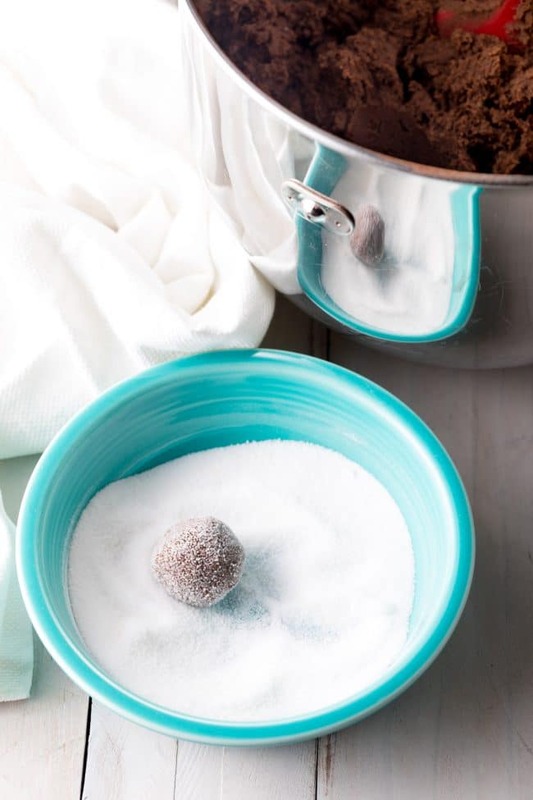 Shake each ball in the sugar bowl to coat. Then place the balls on the cookie sheets 2 inches apart. 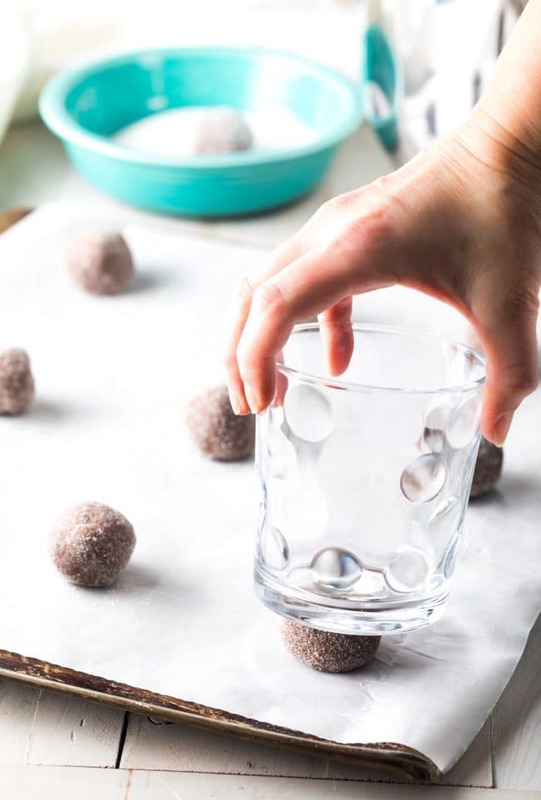 Use the bottom of a drinking glass to press each ball, until it’s 1/2 inch thick. These cookies are somewhat thin and soft. If you would like thicker puffier cookies, chill the dough for at least 1 hour before rolling into balls. Make sure to work fast so the dough is still cool when it goes into the oven. Bake for 11-14 minutes. 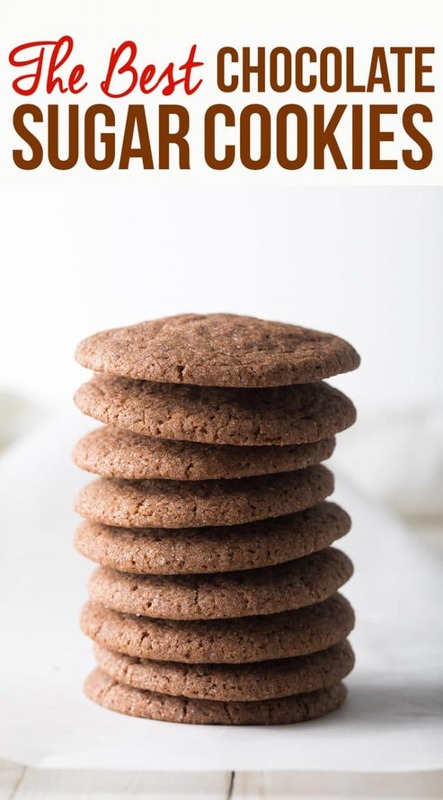 If you want to turn these delicate cookies into cut-out cookies: Use 3 1/4 cups flour and 3/4 cup cocoa powder. Make sure to chill the dough before rolling and cutting. What if I don’t have a stand mixer, can I use a hand mixer? Yes, you can use an electric hand mixer, but don’t try to mix it by hand with a spoon or whisk. The texture won’t turn out right. Really looking forward to making another batch of these! love this! 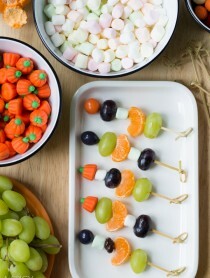 My girls are going to love helping me make these. Nothing like a soft delicious chocolate cookie! These are just what I’ve been looking for—-perfect to add to my cookie rotation!